The pass is good for hop on/hop off riding for 2 days. The loop, in its entirety, lasts approximately 75 minutes. 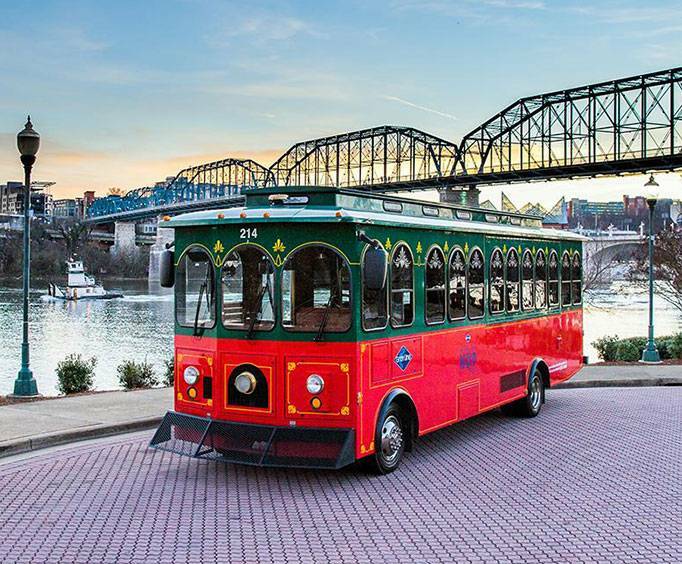 For an immersive and fun adventure in Chattanooga, TN embark upon the Chattanooga Hop On Hop Off Trolley Tour. This two-day adventure comes with an amazing hop on/hop off feature that allows guests to ride the trolley for two days, stopping at each attraction at their own leisure. Alternatively, guests can choose to ride the loop in its 75-minute entirety to get a look into some of the best attractions in the city. 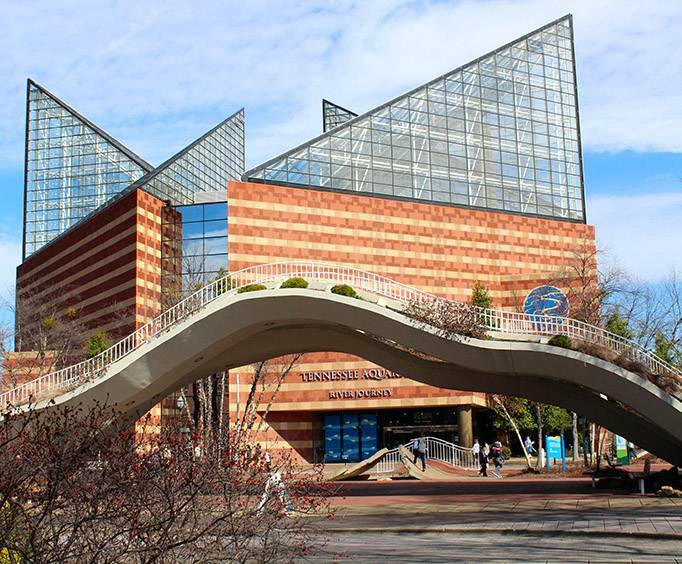 Whether you want to spend the day visiting the beautiful Coolidge Park, checking out the Hunter Art Museum, or learning about the animals at the Tennessee Aquarium in Chattanooga, there is plenty for all ages to enjoy. The Chattanooga Choo Choo opened in 1909 and has served as a hotspot for tourism since. The complex is comprised of 24 acres and features two hotels, shopping, rose gardens, and more. The Lookout Mountain Incline Railway is one of the most popular tourist attractions in Chattanooga featuring trolley-style cars and fantastic views of the surrounding area. Guests can choose to pay for admission at the stop to enjoy the experience. The International Towing & Recovery Museum gives interesting insight into the towing industry and seeks to celebrate notable figures in the field. The museum strives to record the history of the industry as well as provide information about it through exhibits and artifacts. Located on Broad Street, the Chattanooga Visitors Center is a great place to go if you are looking to get local insight into the city. Here, guests will be able to peruse a variety information including brochures, restaurant recommendations, and explore Chattanooga's history. The Chattanooga Convention Center features 100,000 square feet of space that is perfect for a variety of events, some of which are open to the public. Located in the downtown area, there are plenty of local shops and restaurants nearby for a fun day out. Head to St&period; Elmo and Broad Street for an unforgettable array of shopping and dining opportunities. Located in the bustle of Chattanooga's finest, you're sure to find something to capture your interest and make your day. For those who appreciate the arts, the BluffView Art District is the perfect place to visit. Guests can find galleries, restaurants, a cafe, and plenty more. For those who appreciate the finer things in life, the Hunter Museum of American Art is sure to be a great stop. As well as featuring various exhibitions throughout the year, the museum also houses a stunning permanent collection and hosts many events. The Tennessee Aquarium is fun for the entire family. There are many exhibits to see filled with stunning animals such as lemurs, penguins, various reptiles, fish, and more. As well as learning about the creatures that call the exhibits home, guests can also see a 3D movie and more. 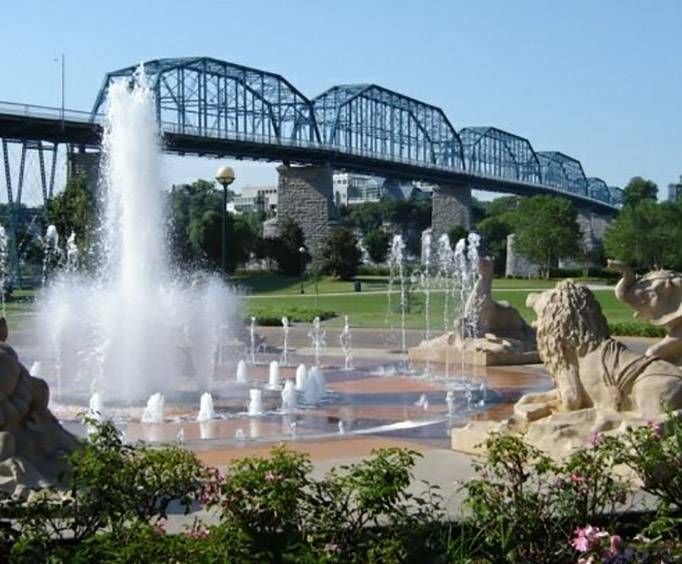 Nestled in the heart of Chattanooga's North Shore, Coolidge Park offers beautiful waterfront views of the Tennessee River. As well as stunning scenery, guests can play in the sparkling water fountain, see a military memorial, ride a 100-year-old antique carousel, and visit the various shops, restaurants, and galleries nearby. The historic Warehouse Row area of Chattanooga features a collection of historic buildings that were erected in the 1900s. They now stand on what was once the site of a Civil War fort. Sit back, relax, and take in the sights and sounds as you learn about the historic city. It is the perfect way to not only get around but to also get an insider's look into everything that makes Chattanooga great. With more than 10 stops, your two days will be filled with memory making.